Years ago when Sakyong Mipham Rinpoche visited St. Petersburg, he suggested that we create a website for the state of Florida. We are very happy to finally be making this a reality! 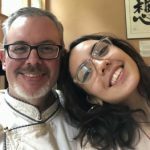 This website will act as a portal for Florida residents and visitors to connect to Shambhala and find a center that is near to them. It will also facilitate communication between the five Shambhala Florida locations so that Shambhalians living in Florida can find programs of interest around the state. Please stay connected with this site and please share it with your friends! Travis, Thank you for making this come to pass. The Sakyong did indeed have a clear vision regarding a web portal for Florida being an important aspect of how to create Enlightened community in our state. You have made this a reality!